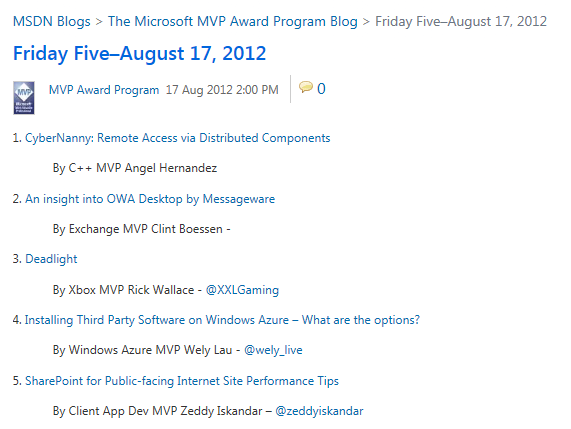 For the 5th consecutive week and in another Friday-Five series, 2 SE Asia MVP blogs have been featured. Do check out their interesting comments/thoughts! – Windows Azure MVP Wely Lau – Installing Third Party software on Windows Azure – What are the options?